Following the devastating flood that hit the city in 2007, Findlay was moved to the top of the Exceptional Needs Program for the development of school facilities by the State of Ohio. 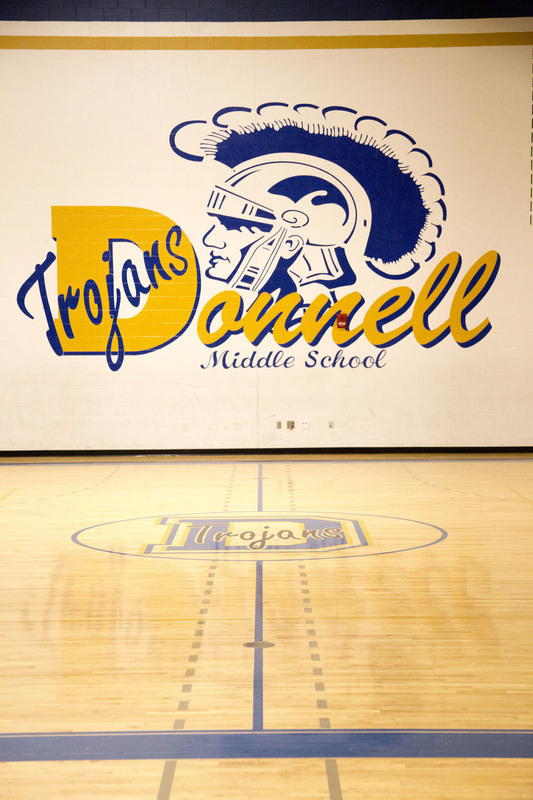 Donnell Middle School, coupled with Glenwood Middle School and Millstream Career Center were all built utilizing the State funding with a local match via a levy. Donnell Middle School was designed and constructed on the same site of the former Donnell Middle School Building, which was originally constructed in the 1920's. Nestled in the middle of an established neighborhood and adjacent to Findlay's Varsity Football Field (Donnell Stadium), RCM Architects, along with Garmann-Miller Architects, worked on a design that acknowledged the neighbors' concerns for setbacks, bus traffic, and construction activities. The resulting, three-story structure ended up being exactly what the neighbors, school district, and most importantly, the children needed. 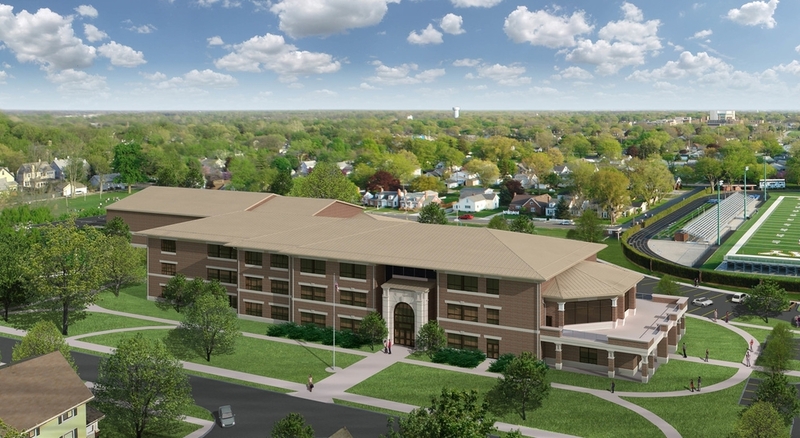 The new 116,000 sf structure pays homage to the former school building by mimicking the massive limestone, arched entryways that once greeted the students. Classrooms are spread throughout three floors of the building, featuring large windows for natural lighting. Double stair cases from the main lobby help students and staff change floors throughout the building. Terrazzo floors with a massive Trojan Logo welcome students at the main doors. The Media Room is highlighted on the second floor with tall ceilings, floor-to-ceiling glass, and a porch that provides a 180 degree view overlooking Donnell Stadium and an adjacent courtyard. Drop-off areas were planned to keep parents vehicles and buses separated to avoid potential collisions on the neighborhood streets. Security played a huge role in the design with single point of entry through secured doors, surveillance cameras throughout the campus and card access to control and track building access. 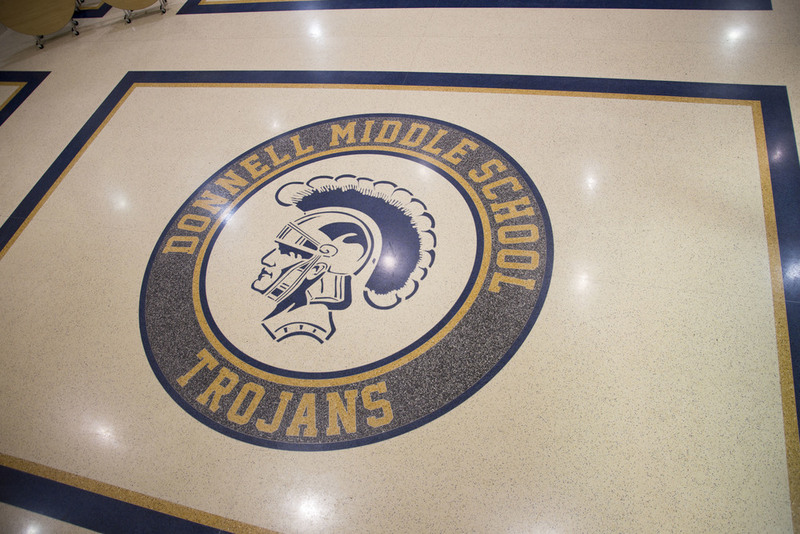 Donnell Middle School is LEED Silver Certified.